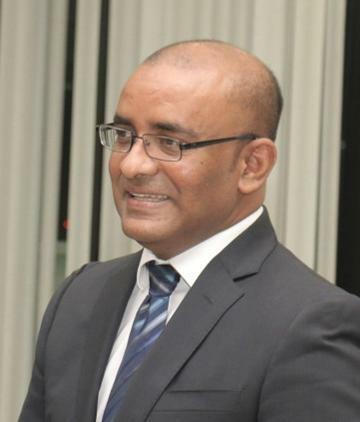 General Secretary of the opposition People’s Progressive Party (PPP), Bharrat Jagdeo on Saturday publicly rejected positive statements by the President of the Guyana Agricultural and General Workers Union (GAWU), Komal Chand about talks with President David Granger. 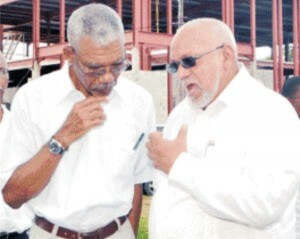 President David Granger and former President Donald Ramotar. 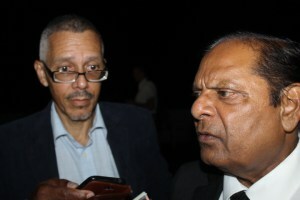 David Granger announced that former President Donald Ramotar is joining the coalition government. Now, in a historic move by a sitting President, David Granger has announced that Ramotar has joined the coalition. His joining came after he accepted the office of Prime Minister in a Cabinet to be revamped. Details have not been released as yet, but are expected to be known within days. 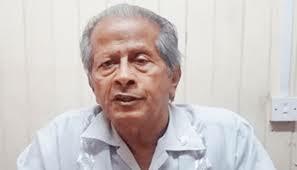 Early indications are that Moses Nagamootoo has agreed to be an associate to the Finance Minister and a Presidential Advisor. A report appeared in the press last week of a meeting between the Prime Minister, Moses Nagamootoo, Minister of Governance, Raphael Trotman and AFC executive and prominent attorney, Mr. Nigel Hughes to discuss constitutional reform. 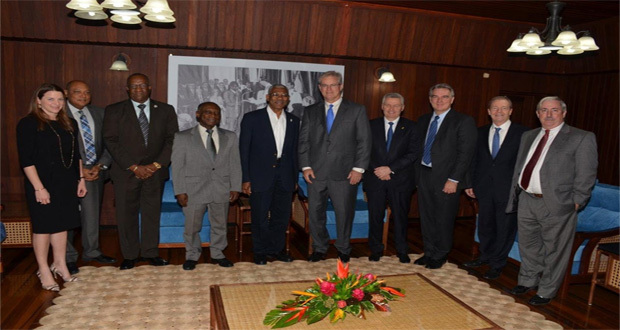 Constitutional reform is one of the undertakings given by the APNU+AFC coalition in its 100-day programme. No doubt the Government is looking to make an announcement on the issue before the end of the 100-day period. I was saying the man’s ego was bigger than his mansion, when another passenger in the car chimed in, that his ego was bigger than Guyana. The man has no shame; some would argue that Bharrat Jagdeo has passed that stage a very long time ago. Long before, he brazenly and “barefacedly” gave away free radio licenses to his friends, family and cronies before leaving office in 2011. By now most of you know that Jagdeo is returning to lead the PPP in Parliament as Opposition Leader.